Visit one of our lodging locations and stay a while. 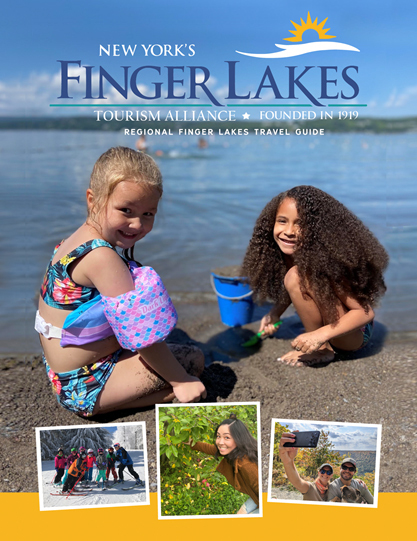 It doesn't matter if you're looking to visit the Finger Lakes for the first time or you've been coming for years, there are plenty of hotels in the Finger Lakes. There are hundreds of options, including a number of historic hotels and inns, when trying to find a place to stay in the Finger Lakes. First, you have to figure out the type of lodging you would like; you will find a list of each type below. Once you have that down, you can search to find the perfect place to stay for your next trip to the Finger Lakes. Don't forget, you can use the "Book a Room" feature to book your next stay in the Finger Lakes! Hotels and motels offer a wide variety of comforts but always give you a great place to recharge you batteries after a day in the Finger Lakes. Whether you are looking for a pet-friendly hotel so you can bring your furry friend, a family-friendly resort or a five-star Finger Lakes hotel for your next special trip to the region, you'll find the perfect place to stay. Experience quality comfort and personalized care at the many bed & breakfasts in the Finger Lakes. A bed & breakfast would be perfect for your next romantic getaway or to spend time with family. Some inns may not offer breakfast, but you'll have all the comforts of home at every corner. No matter who you are visiting the Finger Lakes with, you will find an extra personalized touch if you stay at a bed & breakfast or Inn. Camping today seems to mean a variety of things; to some, you have to hike through the woods and set up a tent, others prefer an RV they can drive up to their campsite. If you're not ready for a tent or camper situation, ease into camping at one of the many Finger Lakes campgrounds or try a cottage to have more modern conveniences. No matter your preference, you will find something to suit you in the Finger Lakes. If you're looking for something a little cozier for your next trip to the Finger Lakes, take a look at vacation rentals. A Finger Lakes vacation rental is a great way to spend time with family while enjoying all the region has to offer. Lakefront cottage or secluded cabin, you will find it all in the Finger Lakes.